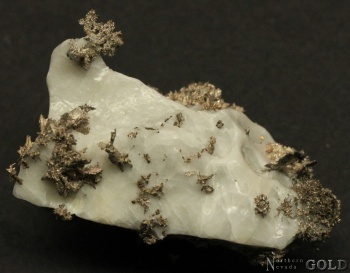 Native SILVER, ALLARGENTUM, and DYSCRASITE!!!!!! A beautiful specimen of the rare, inter grown complex, and unique Silver-Antimony minerals named Dyscrasite, Allargentum, with Native Silver. These crystals are intricate and well formed in a fine arborescent (branching) habit. Also several octahedral crystal terminations are observed. Exhibits gleaming luster and a fine silvery-grey color. 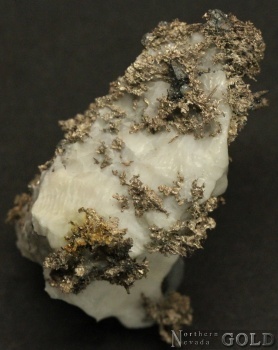 Silver also shows wires, blades, and leaves. There is another dark gray crystallized mineral present?? (Acanthite?) The matrix is Calcite. 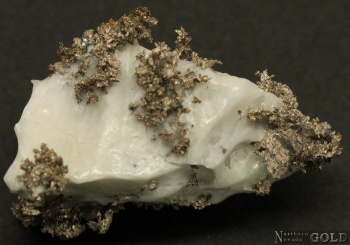 Found in the Bouisma mine, Morocco, Africa.